I confess I was enticed to this exhibition by its title: How to Make the Universe Right. Have we not been thinking about this very question? Well, it turns out that some priests and shamans of North Vietnam and China have been thinking about it for centuries. Their approach embraces the fundamentals of Daoism, Hinduism and Buddhism. 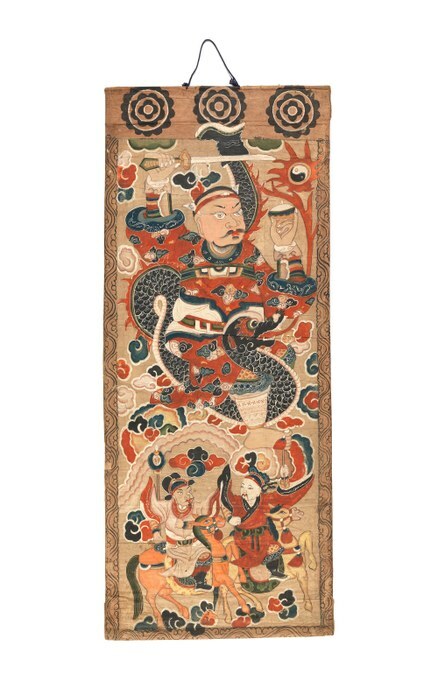 The exhibition on view at the Fowler Museum at UCLA includes scrolls, robes, masks and other works associated with Daoism from the late 19th and early 20th centuries. All are drawn from the collection of Santa Barbara residents Barry and Jill Kitnick, who have now donated them to the Fowler. The Kitnicks were attracted to the material as evidence of the spiritual practices of everyday people as opposed to a religious establishment. The Yao, among others, were a persecuted minority, writing their texts in Nom, a Chinese-based language that had all but disappeared from Vietnam by the mid-20th century. 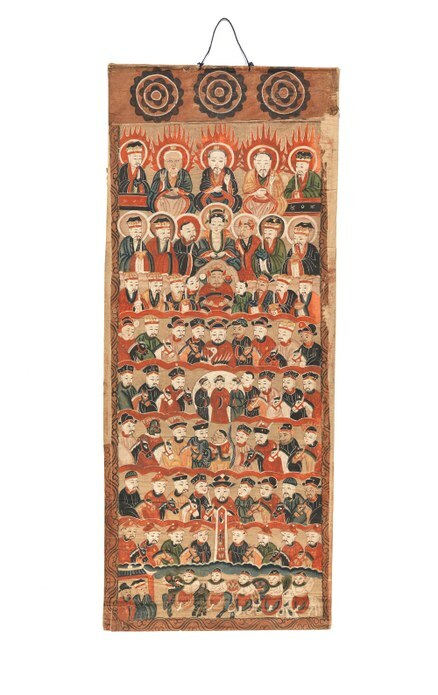 For the second half of the 20th century, the Communist governments of China and North Vietnam suppressed religious and spiritual practices which meant the destruction of materials associated with Daoist and other shamanic practices. This show proves a people’s dedication to preserving their belief systems about deities and demons, birth, death and transcendence. 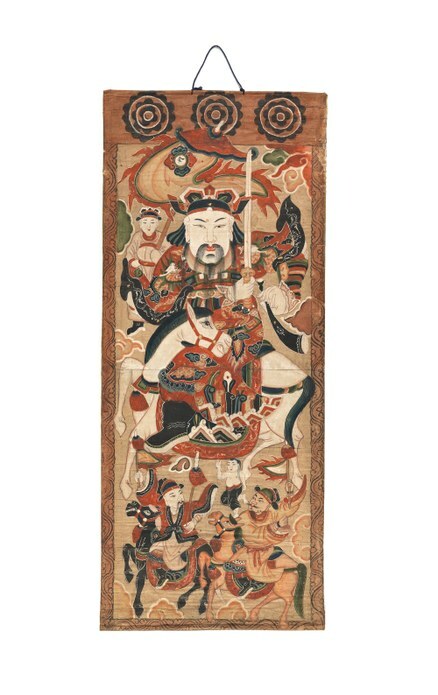 Some scrolls in particular depict the heavenly messengers to a pantheon of deities, each traveling on a particular animal such as a green dragon or a white horse. Scrolls were displayed according to initiation levels of the aspiring priests. Without the support of temples, shamans could erect temporary shrines in individual homes to conduct prayers for the sick or dying. Sacred objects were passed through the generations of a family though sometimes destroyed after a shaman’s death to protect his spirit and prevent them from falling into the wrong hands. 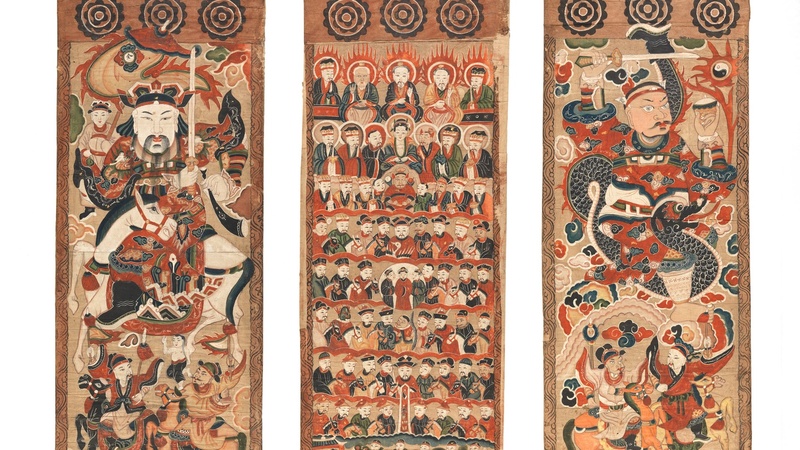 The exhibition offers a window into an aspect of Asian culture that is not easily seen or understood as well as being a testament to the perseverance of the collectors. The moving exhibition is on view through January 7, 2018. In addition, in the permanent collection galleries of the Fowler, there is 35-foot long drawing by LA-based contemporary artist Fran Siegel. Supported in part by the Getty’s Pacific Standard Time initiative LA/LA, on LA and Latin America, Lineage Through Landscape: Tracing Egun in Brazil examines the complex relationships between the worship of the African protective spirit of Egun and the colonial Portuguese in 19th century Brazil. 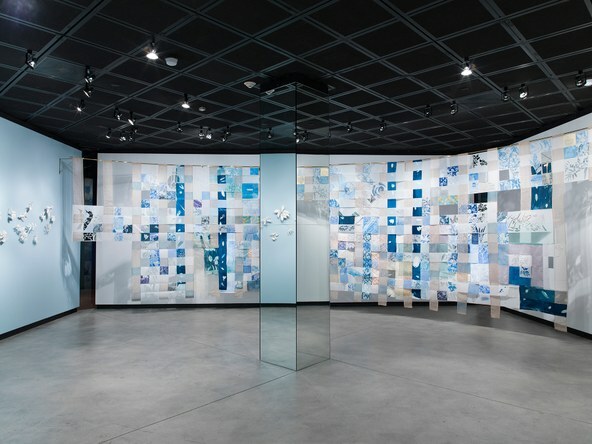 Siegel weaves together strips of mostly botanical imagery in the blue and white colors of tile used in colonial churches as well as metallic gold. Another wall, painted pale blue, supports an array of leaves hand molded from unglazed white ceramic. Siegel is rendering the leaves of plants thought to have spiritual as well as medicinal properties. The layers of the history of Northern Brazil, its connections to Africa and Portugal, to ancestral spirits and colonial Catholicism, are literally and metaphorically interwoven. It is on view through December 10, 2017.